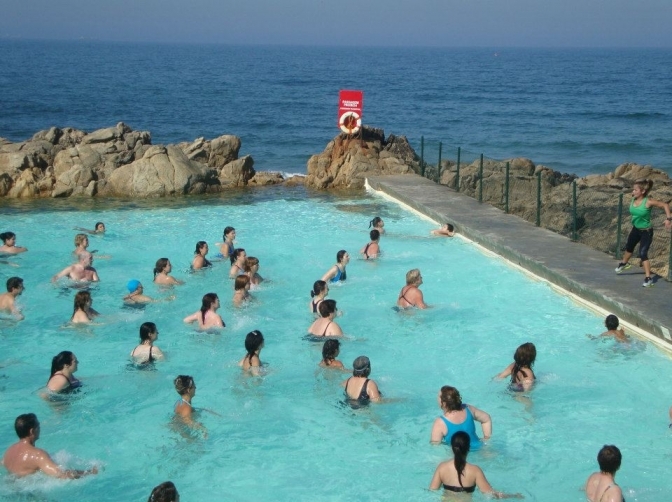 Piscinas das Marés is a set of saltwater pools located on the beach of Leça da Palmeira, Municipality of Matosinhos. 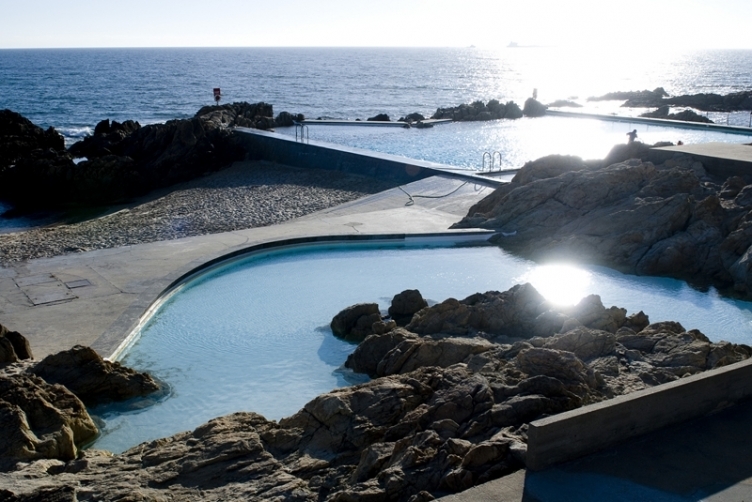 Built in the 1960s and inaugurated in 1966, it was designed by the architect Álvaro Siza Vieira, the most renowned and award winning contemporary Portuguese architect. 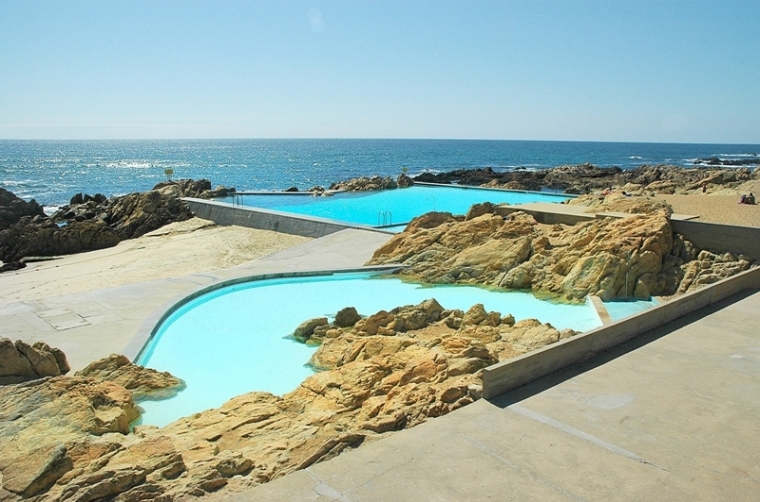 In 2006 it was classified as a National Monument. 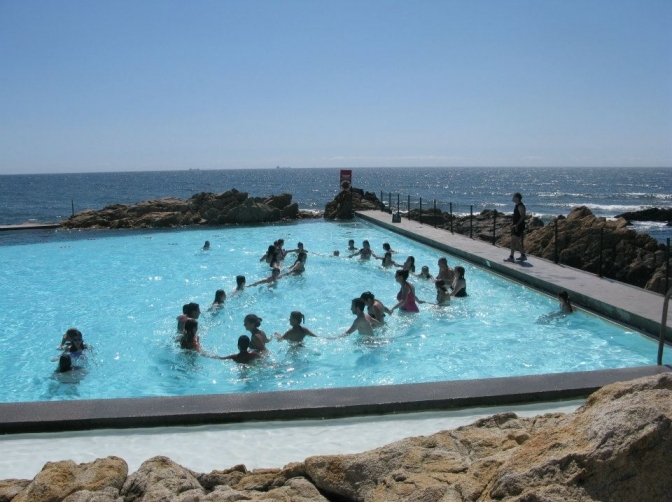 The two salt water swimming pools (one for children only) are an alternative to several beaches that stretch along the sea front of Matosinhos.